Moscow Laptop Cyber Orchestra (also known as CybOrk) is an 'open-source' improvised computer music project, established by Andrei Smirnov and Viktor Chernenko in May 2006 at the Theremin Center for Electro-Acoustic Music at the Moscow Conservatory. 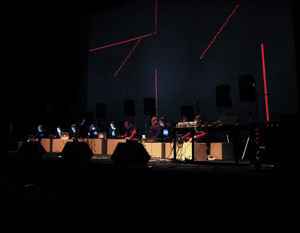 The core idea of the Orchestra is based around a free improvised session of separate audio workstations with local sound output, integrated into one wireless network. In 2004, Smirnov visited Media Laboratory at University of Art and Design, Helsinki and met Shinji Kanki, the founder and conductor of the Helsinki Computer Orchestra. Inspired by the idea of such orchestra, Smirnov created a small laptop ensemble at Pro Arte Institute, Saint Petersburg in collaboration with Sophea Lerner from the Sibelius Academy Centre For Music & Technology. After several successful performances and collaborations, Andrei Smirnov and Viktor Chernenko organized laptop orchestra in Moscow. CybOrk participated in ADD Noise Festival, AbRaCaDaBrA Festival, and the NCCA Audio-Visual Reports concert series. Open 'cyber-jam' sessions were taking place at the Theremin Center on a weekly basis. Cyber Laptop Orchestra collaborated with various electronic musicians and visual artists: Vadim Ugrumov, Alexei Borisov, Alejandra Perez Nunez, Elisabeth Schimana, Cordula Bösze, Nikita Golyshev, Stefan Tcherepnin, Olesya Rostovskaya, Natasha Poloka, Artem Rukovichkin, Nikita Tsymbal and Alexander Golovanov.